What is the true cost of credit card purchases? Recent studies show that most Americans carry an average of seven to nine credit cards in their wallets, and that on those cards they carry an average balance of around $9,000 or more for every person in the country (including those too young to have credit cards!). They most likely have installment loans in addition, such as auto loans, mortgage loans, student loans, and other consumer loans. One of the most important things for you to understand is WHY you must stop adding to your credit card debt. You'll be shocked to learn how much you're actually paying in credit card interest, the true cost of credit card purchases. The true cost of credit cards is not just measured in dollars and cents -- there's also a huge emotional cost, which can be devastating to your health, your marriage and your family. If you have a balance of $10,000, with an 18% credit card interest rate, and you make only the 2% minimum payment every month, do you have any idea how long it will take you to pay off that balance – if you never charge another penny to that card? Would you believe - more than 50 years?! That’s right. After paying credit card interest on that balance for 50 years, how much will you really end up paying for that dress on sale, or that big-screen HDTV, that you just HAD to have? And what if you’ve fallen into the trap of putting daily living expenses, like groceries and gas, on a credit card, and not paying them off at the end of the month? Don’t even want to think about it, do you? By the time you've paid off that $10,000 balance with minimum monthly payments, you will have paid $28,525 in credit card interest, for a whopping total of $38,525. That means that for everything you charged to that credit card (and assuming you don't charge more as you pay it down), you actually paid 3.8 times the purchase price. Now how attractive is that dress or HDTV that's "on sale?" Let’s say you go down to the local electronics store, the week before the Super Bowl – they ALL have sales on TVs then, have you noticed? Or maybe you fell in love with all the whiz-bang features offered by the Samsung PN64D8000 64-Inch 1080p 600Hz 3D Plasma 8000 Series Smart TV when you saw it at Amazon.com, and you decide to take advantage of their safe online shopping and free shipping. Now you can invite all your buddies over to watch the game at your house and show off your new TV. You can be the envy of the neighborhood, right? So, let’s say the credit card interest rate on the store-branded credit card you use (Sears, Amazon.com, Best Buy, Circuit City, whatever) is 21%, and your minimum monthly payment is "only" $44 per month. Easily affordable. What a deal, right? Wrong! Take a look at our minimum payment interest calculator to see how much that deal will cost you! At 21% interest, making a monthly payment of $44, it will take you nearly 11 years to pay off that big-screen TV. Will the TV still be working in 11 years?? And by the time you pay it off, you will pay a whopping $5,713 (more than 2.5 times the purchase price) for that TV, "just" $44 at a time! Would you have agreed to buy it if the price tag said $5,713? Of course not! But what you didn’t realize, is that in fact you DID agree to pay that much for it – when you charged it on your credit card and then decided to make only the minimum payment each month. And if, instead of continuing to pay $44 per month, you decide to pay the continually-decreasing minimum payment (generally around 2% of the balance), it will take 50 years to pay it off! 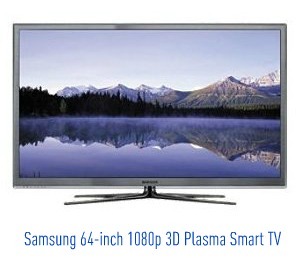 You will pay more than $12,251 in credit card interest, so your "on sale" TV will end up costing you more than $14,500! That's almost 6.5 times the purchase price. I'll bet you had no idea the cost of credit card purchases was so high, did you? Credit cards can be useful tools if you use them responsibly and pay off your balance each month. But it's far too easy to fall into the habit of whipping out your credit card to pay for the latest thing you found on sale, and you don't realize the balance just keeps creeping up and up and up. Before long, you're in over your head, and you just don't see how you'll ever pay it off. What is required is discipline. We know that's not a problem for you. If you're in the military, your life is all about discipline. So just apply it to your credit card shopping as well. I hope you'll think twice before whipping out the plastic to buy the latest thing you saw "on sale!" In addition to the cost of credit cards in cold, hard dollars and cents, the emotional and mental stress it creates can doom marriages and families, as well as your health. Numerous studies have shown that money is one of the major topics couples argue about, and one of the top reasons for divorce in this country. Debt is a tremendous burden, and with all the stress already existing in military marriages, you don't need to add the burden of the cost of credit card debt that has spiraled out of control. So, don't make being the envy of the neighborhood (for having the biggest TV) your goal. Keep your eye on the goal of a secure financial future for your family, and go watch the Super Bowl with your buddy who didn't read this and bought the big-screen TV! You'll enjoy the game even more, knowing your family is on its way to financial freedom rather than enslaved to credit card interest. Your goal should be to become the envy of the neighborhood because you're smart enough to not be drowning in debt, so you can sleep easier at night. And be a real friend. Send your buddy a link to this page, so he or she can begin to understand the problem! Share it on Facebook and Twitter using the buttons at the bottom of the page. Would you like to know how much credit card interest you'll pay if you make only the minimum payment on YOUR credit card bill? Use our minimum payment credit card interest calculator to find out. Credit Cards - Blessing or Curse? Can you safely navigate the interest rate minefield? Learn where to watch out for "gotchas!" OK, you've decided you can use credit cards responsibly, and not get over your head in debt. Find best credit cards for military personnel. Have you gotten your free annual credit report? Use our link to make sure you're getting it through the Federal Trade Commission website, and not some scam site. Did you know your credit score matters for a lot more than just buying a house or car, or getting a new credit card? It can make the difference in whether you get a new job, and can determine the amount you pay for insurance premiums, among other things. Check it out. You must make a commitment to getting out of credit card debt, as quickly as possible. We can help. We can show you how you can become debt free in as little as three to seven years, on your current income. Imagine how much more you will be able to enjoy life, confident that you are in control of your financial future. Sign up for our newsletter (below) to learn how to Take Command of Your Debt and your life. In addition to signing up for our newsletter, you'll also want to subscribe to our e-mail updates. That way, you'll be notified via e-mail whenever there's new information posted to the site. We promise not to fill your inbox with junk. These e-mails are sent only when there's new or updated information posted on the site. And we never share your e-mail address without your permission. Period. Return to top of The True Cost of Credit Card Purchases. Visit our home page to learn more about what's available at Military-Money-Matters.com.